simple living wanderlust, living a life of love! Latoya Hawthorne (Hawthorne-Stiner as of 2018) was born in Kingston, Jamaica. She relocated to New York with her family when she was seven to pursue their dreams to open a Jamaican restaurant. The business has flourished over the past three decades and Golden Krust Caribbean Bakery is now a franchise of over 120 restaurants in the US and Canada. Latoya knew from a young age that she wanted to run her own business. Latoya was surrounded by strong women. Her grandmother took care of her and her siblings while her mother worked tirelessly to make ends meet. She decided to study advertising in college since she had a passion for creating new products as well as designing them and tailoring them to customer’s needs. Latoya was scouted by an agency and started modeling at the age of 16. Her path changed when she met a man who later became her boyfriend. Little did she know a relationship would change her path. She would endure four years of physical and emotional abuse, but would escape. In 2007, Latoya relocated to California and started working with some of Southern California’s finest photographers. She became curious about telling stories behind the lens when she was on set. She met many women who started over in life because of unforeseen circumstances. She began opening up to other women about her story and had meaningful interactions with those who started over due to unforeseen circumstances. These interactions led to profiling them photographically and aiding them with their personal enterprises, putting to use her web and graphic design savvy. Latoya dedicates her life to empowering women creatives to live a life of love through social entrepreneurship. She spent seven years working at the Downtown Women’s Center: a nonprofit focused on ending homelessness for women in greater Los Angeles. She aided in launching their social enterprise, MADE by DWC, creating job opportunities for formally homeless women. In 2018, Latoya became store manager at The Little Market, a nonprofit founded by women to empower women through creating dignified job opportunities for women in marginalized communities around the world. When she’s not educating consumers on ethical shopping, she works with women creatives to launch their businesses. 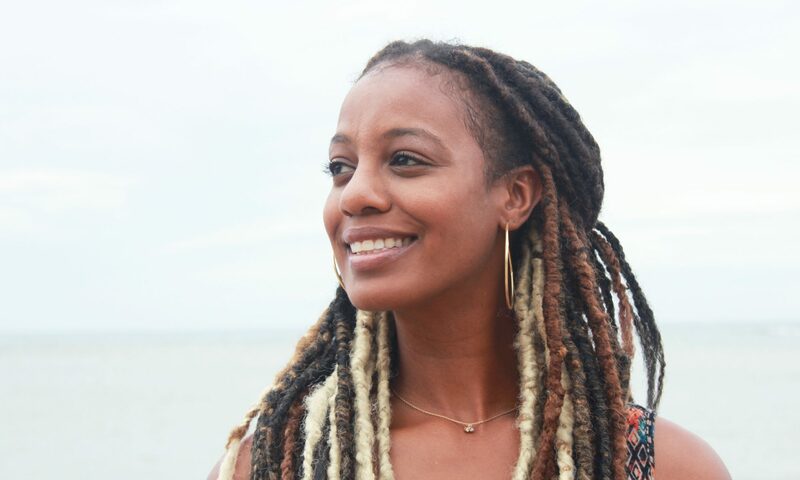 Latoya can be found making natural skin care products, kombucha, exploring nature, and enjoying life with her husband and two dogs during her leisure time.